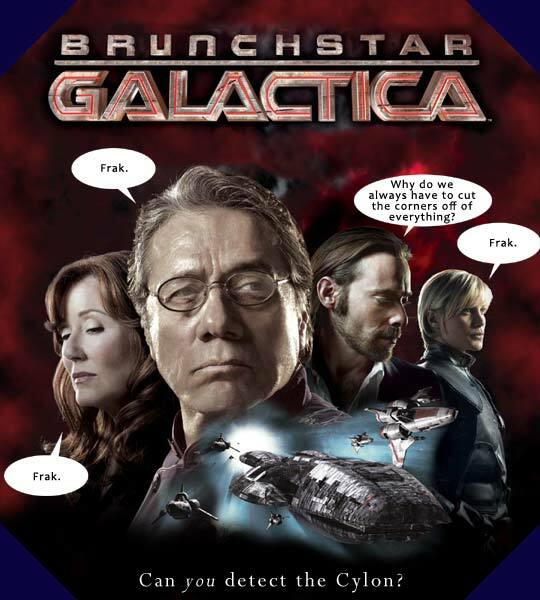 Come for brunch... stay for a round of the new board game based on the Battlestar Galactica TV show (the current one, not the cheesy ’70s version). What makes this game most interesting is that at least one of the players is actually working for the enemy... and you don’t know which one. Whom can you trust? Maybe it’s you that is... the Cylon? at the Fantasy Flight Games website.